Wilmington, N.C. – Join Cape Fear Museum, Carolina Beach State Park and other community partners for a fun-filled evening of stargazing and astronomy-themed activities on Friday, April 21, from 7:00-10:00 p.m. at Carolina Beach State Park (1010 State Park Road, Carolina Beach). This year’s Statewide Star Party theme is “Star Light, Star Bright.” The Statewide Star Party is part of the 2017 North Carolina Science Festival. Be part of an event that is happening statewide! Be sure to bring a flashlight. Go on a laser-guided tour of the stars and planets. Get up-close views of the Moon, stars, planets and more using a variety of telescopes. Experience a full-dome digital planetarium show. Discover why stars appear to twinkle and draw your best twinkling star. Find out what diffraction spikes are and construct your own ‘pointy’ star. Observe the effects of light pollution, ‘save’ a star in the sky, and participate in our dark skies pledge. Examine galaxies galore, discover how they’re classified, and design your own galaxy to take home. Visit our satellite observation station and discover how to locate and view these “moving stars”. Visit the “out of this world” technology center and discover cool astronomy apps for your mobile devices. Cuddle up with loved ones and listen to star-themed stories at the Stellar Story Corner. Enter raffles to win prizes and passes to local attractions. Star Party will happen rain or shine. However, some activities are weather dependent. In the event of cloudy/overcast skies, telescope viewings and laser-guided constellation tours will be cancelled. In the event of rain, some activity stations will move inside the park’s visitor’s center, however, space and parking will be limited. Check www.capefearmuseum.com/programs/starparty/ for weather and event updates right up until the event begins. Event parking is at the marina, located at the back of the park. Complimentary shuttle service is generously provided by the Wilmington Trolley Company. The NC Science Festival’s fifth annual Statewide Star Party is made possible through the support of the NC Space Grant. 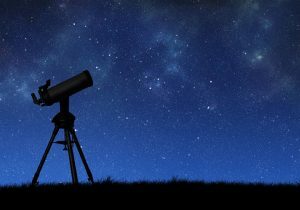 Participating organizations and institutions across the state will be hosting sky-watching parties to help people discover the wonders of their night skies.